Members of the Torenia genus are usually grown as half hardy annuals in gardens and they reach about 30 cm in height. They bloom in summer and the early months of autumn when they carry multicoloured tubular flowers; these include the colours white, blue, purple, pink and yellow. Some common names for Torenia include Wishbone flower and Bluewings. Torenia fournieri by Carl E Lewis. Both photographs under creative commons licence. Common Names: Wishbone Flower, Blue Wings. Height: 12 to 16 inches (30 to 40 cm). Flower Details: Blue, violet, purple, pink, yellow, white; usually many colours. Tubular. Trumpets. Foliage: Opposite. Toothed. Deltoid to Rhomboid. Sow Outside: Surface. A couple of weeks after the last frost. Spacing 8 to 10 inches (20 to 25 cm). Sow Inside: Use peat pots. Germination time: one week to one month. Temperature 70°F (21°C). Seven or eight weeks in advance. Transplant outdoors a couple of weeks after the last frost. Requirements: Afternoon shade. Good drainage. Rich soil. Moist soil. Organic soil. Regular watering. Pinch tips. Propagate: cuttings. If growing Wishbone flowers (Torenia plants) outdoors from seed then sow on the soil surface in spring, a week or so after the last chance of frost. Wishbone flowers (and other Torenia species) should be spaced about 15 to 20 cm apart and grown in a sunny area that is shaded in the afternoon. Ideally the soil that Wishbone flowers grow in will have good drainage, be moist, and should be enriched with organic matter. If planning to start off indoors then sow Torenia seed about 8 weeks before due to be transplanted outdoors. It should take from one to four weeks for the seeds to germinate at 20 to 23 degrees centigrade in the light. Once established transplant into the garden a couple of weeks after the last chance of a frost. 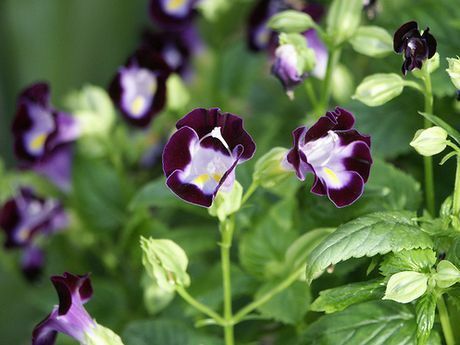 Torenia Plants, such as wishbone flower and Blue wings, are pretty easy to look after; once they have been growing for a few weeks and reached an height of about 8 cm pinch them back; this will encourage branching and result in a bush and healthy looking plant. 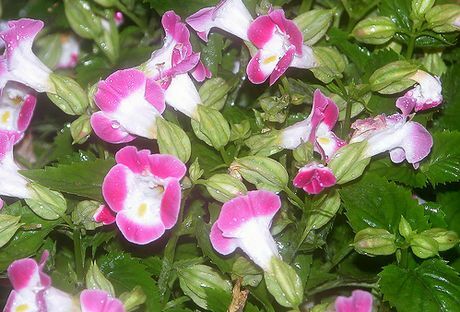 As they like moist soil it is necessary to water wishbone flowers on a regular basis. 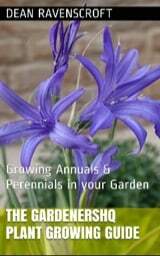 If you require more plants then they can be sown from seed or cuttings took.